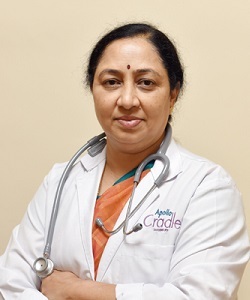 Dr. Mala Prakash is a Gynecologist, Infertility and Obstetrician in Bannerghatta Road, Bangalore and has an experience of 29 years in these fields. She practices at Apollo Hospital at Bannerghatta Road and Apollo CM Fertility JP Nagar, Bangalore. She is known for specialty services in Vitro Fertilization (IVF), Intrauterine Insemination (IUI) and Gynecology.